The Department of Human Services (DHS) recently issued the following information and resources in preparation for the roll-out of Community HealthChoices (CHC) beginning January 2018 in the Southwest zone of the state. 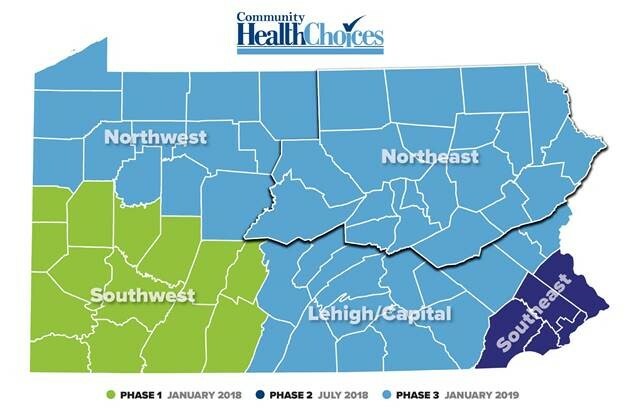 The Department of Human Services (DHS) is committed to open and frequent communication to educate and inform individuals who will move to Community HealthChoices (CHC). It is critical that they are aware of the upcoming changes and are able to make an informed decision on their plan selection. We are using multiple channels to get the message out, and want to ensure that you are aware of upcoming information that potential participants will receive. Participants in the Southwest Zone received this flyer (also available in Spanish) in August 2017 to inform them that CHC was coming to their county in January 2018. Participants in the Southwest will receive an invitation to community meetings in late September. There will be more than 40 events in the Southwest Zone, with at least one in each of the 14 impacted counties. The meetings will give more information about CHC, the LIFE program, and answer questions participants may have. To register for a community meeting, participants can go to www.healthchoices.pa.gov or call 1-833-735-4416. A copy of the invitation is available here. DHS will mail notices to potential participants beginning today. The notice will inform participants that they will transition to CHC in January and will need to select a health plan, also called a managed care organization (MCO). The notice also tells potentially eligible participants that they may be eligible for the LIFE program. Copies of the notices are be available here. Beginning on October 2, 2017, pre-enrollment packets will be mailed to participants. 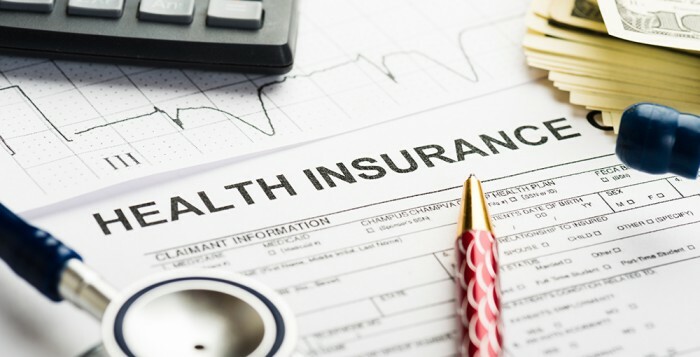 This packet will contain information about each of the health plans and the benefits offered by each plan, and tell participants how to enroll in a health plan. There will be a toll-free number and website for participants to use to make their selection. 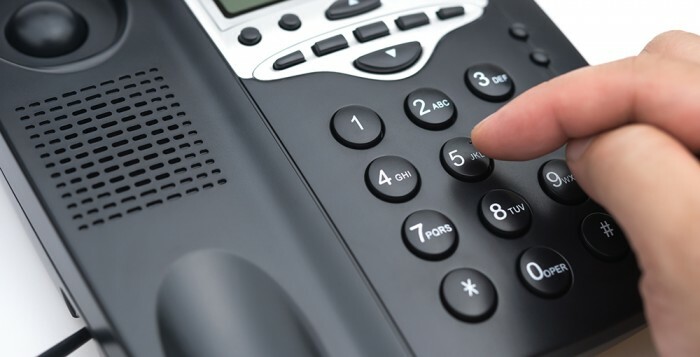 A day after the packets are mailed, automated calls will be made to let participants know that the packets are coming. If participants do not select a health plan, they will get a follow-up call. Individuals who do not select a plan by November 13, 2017, will be assigned to a plan. Individuals can change their plan at any time. DHS’ Facebook, Twitter, and YouTube accounts make CHC information readily available. If you are not following us yet, please click the provided links to make sure you are receiving all up-to-date information on CHC and all department priorities. Today, the House will vote on HB 59, the Welfare Code bill. In the bill there are many provisions that would have a negative impact on the families that our members serve. RCPA staff has been in contact with House members and have written a letter to legislators explaining why we oppose HB 59. Once the House votes on the bill today, it will immediately go to the Senate Rules Committee. If the Senate Rules Committee votes it out of committee favorably, HB 59 will go to the Senate floor for a final vote. RCPA implores providers to contact their legislators and tell them to oppose HB 59. Members can use RCPA’s letter opposing HB59 for talking points. Questions, contact Jack Phillips, RCPA Director of Government Affairs. The Senate has released its version of the American Health Care Act and it is worse than we feared. The Senate bill will cut Medicaid even more than the House bill in the future, putting tremendous pressure on safety-net services and providers. But there is still time to act! The Senate is gearing up for a vote in the coming days, so NOW is the time to speak up and protect Medicaid. Your Message: I am calling to ask the Senator to vote NO on the Better Care Reconciliation Act. Cutting Medicaid and rolling back the Medicaid expansion will have a devastating effect on people with mental illnesses and addictions who rely on Medicaid for lifesaving treatment. Please vote NO. I’m calling from [city, state, and zip] and my name is [first and last name]. Thank you to all who have taken action on this issue so far this year. We appreciate your hard work and dedication and ask that you continue to mobilize and advocate on this critical issue! Together, we can protect and preserve Medicaid for millions of Americans in need. Until today, it was hard to imagine a bill could be worse for Americans living with addiction and mental illness than the AHCA bill passed last month by the House of Representatives. The Senate version of the American Health Care Act purports to be a “repeal and replace” of the Affordable Care Act, but is really a draconian restructuring and gutting of Medicaid, the program that covers 20% of Americans and is one of the primary payers of addiction and mental health treatment in the U.S. The bill’s supporters have said that their newest proposal would “soften the landing” for Americans who will lose Medicaid coverage. In reality, the landing would be catastrophic. There is nothing “soft” about ripping health care away from the 11 million Americans enrolled in the Medicaid expansion. The new bill also shifts hundreds of billions of dollars in costs to states—leaving them with a Sophie’s Choice of which populations and benefits to cut in order to close their budget shortfalls. Seniors? Pregnant woman? People with a preexisting condition, like cancer or a heart attack? Who do we help, and who do we turn our back on? The Senate bill also slices and dices Medicaid enrollees into the deserving and the undeserving, exempting some populations with disabilities from the caps while leaving other vulnerable individuals—like people with addictions—out in the cold. Lawmakers must remember that people with addictions do not qualify as “disabled” under a Gingrich-era change that excluded them from Social Security Disability. The proposed cuts to Medicaid would disproportionately harm those who rely on Medicaid for lifesaving opioid addiction treatment, at a time when mortality from the opioid epidemic is growing at devastating speed each year. We are facing a national emergency on opioids – now is hardly the time to reduce our efforts. The bill’s feeble attempts to bolster psychiatric treatment while stripping health care away from millions are paltry at best. While the outdated law prohibiting Medicaid funding for services provided in residential or inpatient treatment settings deserves to be changed, the small tweak to this payment exclusion that is included in the bill will do nothing to mitigate the loss of Medicaid coverage for millions—nor does it provide for important outpatient care serving people in their own communities. The proposed one-year grant fund for mental health and addiction treatment in 2018 doesn’t come close to meeting the real—and growing—need for care. Grants are not a substitute for health coverage. We don’t rely on grants for the treatment of heart disease or cancer, and addiction and mental health should be no different. Congress has made incredible strides in advancing access to care for mental illness and addiction in recent years. It is shocking that members of Congress – many of whom have family members who would be affected and all of whom represent constituencies who would be gravely harmed – would even consider a bill that would obliterate these gains, returning us to the days when people with mental illness or addiction couldn’t access treatment. This is not our vision for America. Slashing billions of Medicaid dollars from state budgets would cost hundreds of thousands of lives. The National Council urges the Senate to vote down this reprehensible bill. The National Council for Behavioral Health is the unifying voice of America’s community mental health and addictions treatment organizations. Together with 2,800 member organizations, it serves more than eight million adults and children living with mental illnesses and addiction disorders. The organization is committed to ensuring all Americans have access to comprehensive, high-quality care that affords every opportunity for recovery and full participation in community life. The National Council, the Maryland Department of Health and Mental Hygiene, and the Missouri Department of Mental Health pioneered Mental Health First Aid in the U.S. and has trained more than 1 million individuals to connect youth and adults in need to mental health and addictions care in their communities. To learn more about the National Council, visit the official website. Early this week, Richard Edley, RCPA President/CEO, met with staffers from Congressmen Costello, Dent, Fitzpatrick, and Meehan’s offices, as well as Senators Toomey and Casey to discuss the current negotiations taking place on health care. 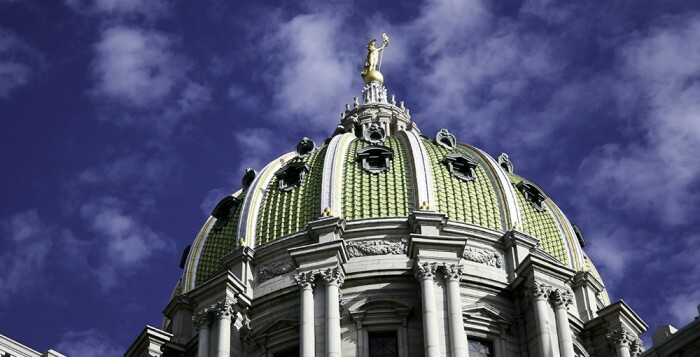 RCPA highlighted the financial impacts that the “American Health Care Act” would have on Pennsylvanians and urged the Congressmen and Senators to oppose any proposal that results in cuts or rollbacks of Medicaid. RCPA stressed that Medicaid is the single largest payer of mental health and addiction treatment services in the country. Any proposals that rollback Medicaid coverage or restrict people’s access to treatment will have a significant impact on this vulnerable population. Additionally, RCPA staff had a productive meeting with Charlotte Pineda in Congressman Fitzpatrick’s office. 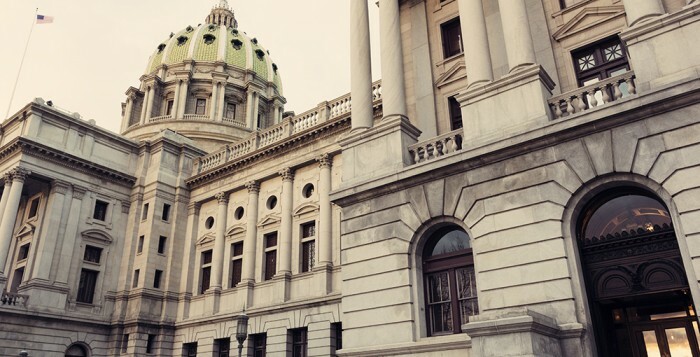 In that meeting, RCPA gave its support to Congressman Fitzpatrick’s “Road to Recovery Act.” This bipartisan bill addresses the antiquated and problematic IMD Final Rule and will enable Pennsylvania to expand access to residential treatment for substance use disorders, while not intruding on a state’s flexibility to implement care. 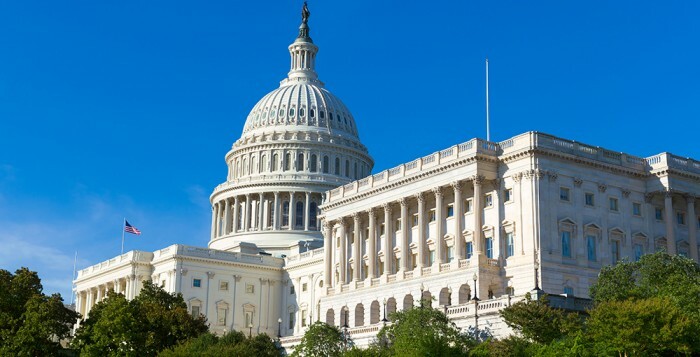 Jack Phillips, RCPA Director of Government Affairs, will be scheduling additional follow-up meetings with the Congressman and his staff on the “Road to Recovery Act” and other health care issues. Behavioral health issues rarely occur in a vacuum. Many individuals with behavioral health needs also suffer from chronic physical ailments, including diabetes, asthma, and heart disease. This CHCS blog, The Thrust to Integrate Behavioral Health Services in Medicaid, highlights how policymakers are increasingly focused on the need to better coordinate care for this population. It outlines emerging state and federal efforts that are moving toward whole-person care on many fronts — including programs to integrate physical and behavioral health services, reduce homelessness, end the cycle of repeat jail visits, and, ultimately, improve this vulnerable population’s overall quality of life.